RChain’s goal is to provide a scalable public blockchain for the enterprise, in competition with Ethereum and NEO. 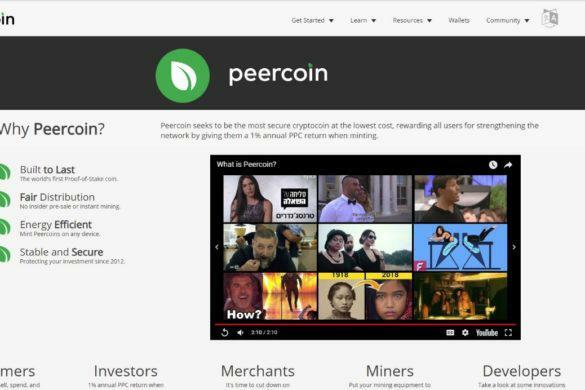 As such, it is working to deliver a blockchain that can scale to over 10,000 TPS, after which it can compete with giants like Visa for transactions and Facebook for content delivery. Update: recently RChain’s testnet became live. Current blockchains are not scalable and as a result, they are unfit for enterprise organizations to use. RChain seeks to change this by developing a scalable blockchain that is publicly owned and will enable businesses to work together at scale. “To become a blockchain solution with industrial-scale utility, RChain must provide content delivery at the scale of Facebook and support transactions at the speed of Visa,” explained current President Greg Meredith, who previously worked as both the Principal Architect of BizTech Process Orchestration and its Highwire offering. At Microsoft, he found that he and his team could not develop a decentralized solution and decided to find his own solution. It was at Microsoft that Meredith started to develop the Rholang language, from which he later developed RChain. Kenny Rowe, the current COO, also works as the Head of Operations at MakerDAO, and is the senior consultant at CoinFund. Vlad Zamfir, a key researcher at the Ethereum Foundation since 2014 as well as a developer of Casper, sits on the Board of Directors. “The main issue with blockchains today is that they are not scalable, because every node has to process every transaction, as opposed to nodes sharing the load and processing transactions in parallel,” says Zamfir. 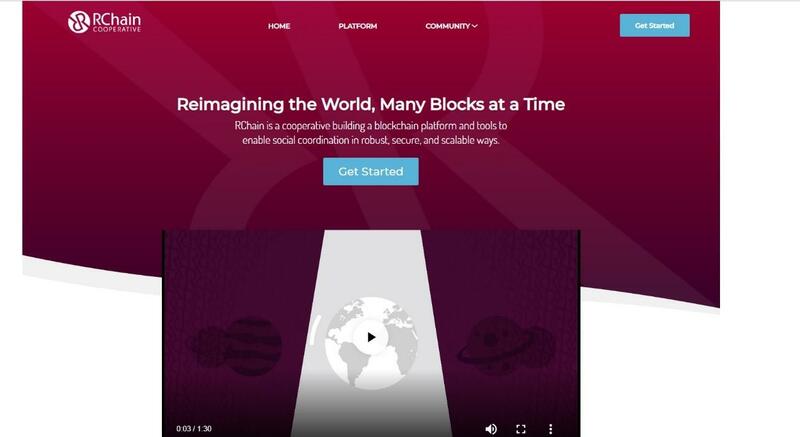 As an open-sourced project, RChain organized its business as a cooperative, forming the RChain Cooperative in January of 2017. The cooperative structure will ensure that RChain remains publicly owned and operated. RChain also works with a sister company in Berlin to develop tools for decentralized governance. The private members of the RChain Cooperative have experience working for top corporations such as Google, Amazon, Facebook, IBM and Dropbox. 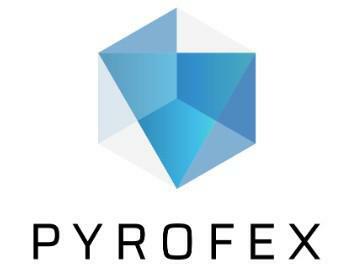 In addition, the Cooperative announced that it would be partnering with Pyrofex, a company specializing in large-scale distributed computing and venture firms Reflective Ventures and Pithia. The cooperative structure offers greater autonomy for its members. They can vote directly for the board members. In addition, they can vote on projects and budget allocations, allowing them to directly influence the way the cooperative operates. In aiming towards greater scalability, RChain has unique characteristics in comparison with Bitcoin and Ethereum. Protocol Token Bitcoin, plus tokens such as provided by Omni Layer. Ether (ETH), plus tokens issued by contracts Multiple tokens issued by system contracts or application contracts. Concurrent VM N/A. Bitcoin’s stack-based language does not have or require its own VM. No. The EVM is single-threaded. Yes. RhoVM is multithreaded. This makes concurrent shards easier to implement since there are no assumptions on synchrony. Privacy Low at base protocol layer. Pseudononymous. Low at base protocol layer. Pseudononymous. Namespaces can be arbitrarily obscure. Agent Service Channels can be encrypted. 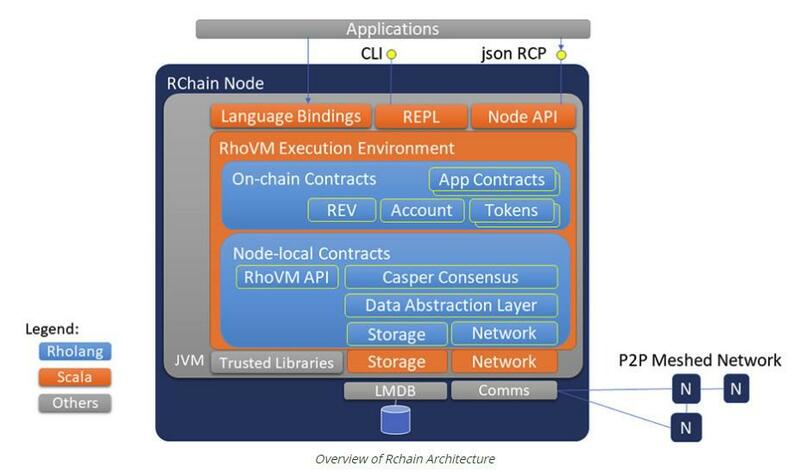 The core of RChain’s technology is the Rho Virtual Machine, which actually consists of many different VMs all running smart contracts simultaneously. This allows for multiple blockchains for each node, rather than a global design which mandates that transactions are sequential and on one virtual machine. The storage layer is a key component of the VM and allows messages to be delivered between processes. A modular layer, it sends patterns using Rholang to enter data in the database. It receives data through querying it. All continuation of data is applied to new data coming in. RChain smart contracts are written in the Rholang language (Reflective Higher-Order Language), a user-friendly version of rho calculus, which is derived from Pi calculus. The Rholang language is Byzantine-fault tolerant, Turing-complete, and replicated. In other words, this language is suitable for asynchronicity and can allow different processes to work in parallel in addition to concurrent programming. Since each node doesn’t need its own blockchain, the result is that the system is scalable. Rholang was invented by Meredith and is based on a version of Pi calculus called Roh calculus, a model of computation for concurrent systems. In Pi calculus the only thing that can be exchanged are names, whereas in Roh calculus you can send processes. The platform allows greater scalability through the use of LADL = Logic as a Distributive Law, which allows for the development of type systems for un-typed languages. LADL enables greater trust and encourages development of decentralized solutions since it allows for fewer resources than other blockchain solutions. A namespace is known as a set of named channels. They are often resources that are competing with other resources. Namespaces allow transparency with contracts, as well as enabling the improvement of their security. RChain runs on a Proof-of-Stake (PoS) consensus mechanism. RChain raised $29.7 million from private sales through its RChain Cooperative. 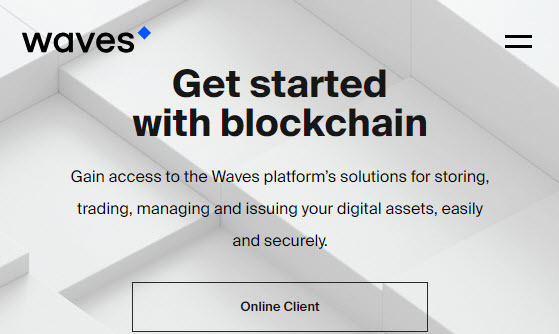 It launched its token in October 2017 at an initial price of $0.17. The token hit a peak of $2.99 in early January 2018 after falling with the general cryptocurrency market this year. The price is now around $0.30. RHOCs are an ERC-20 token issued by the RChain Cooperative. The 861,185,194 RHOCs in existence will be converted to REV utility tokens at the launch of the platform at a ratio of 1:1. 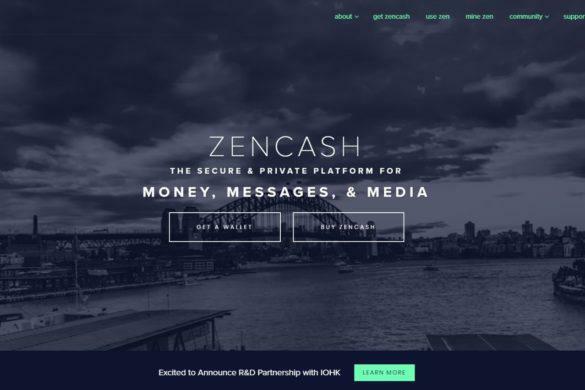 Once RChain announces its mainnet launch, there is a chance it will hold a public ICO. This will be decided on by the RChain Cooperative when the time comes. 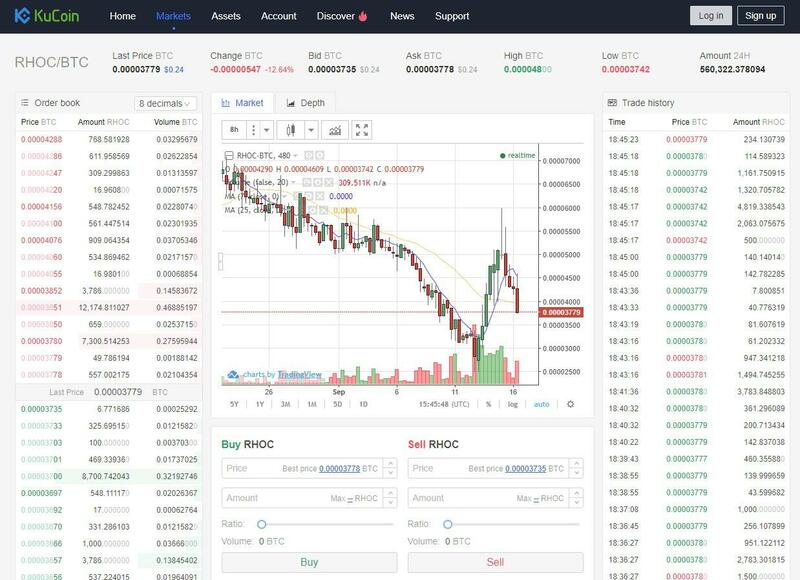 The main exchange for purchasing RHOC is on Kucoin, which currently has the largest volume of the currency at almost $200K. RHOC can be traded on Kucoin for BTC and ETH. RHOC can be stored in any wallet that supports ERC-20 tokens such as Coinomi, MetaMask and Myetherwallet. For maximum security, however, you should store your RHOC on hardware wallets such as Ledger Nano S and Trezor. Although RChain has not proved it can hit 10,000 TPS as of yet, once it does it will have a variety of applications in the real world, including: wallets, exchanges, DAOs, smart properties and contracts, oracles and external adopters, custom protocols, social networks and marketplaces. 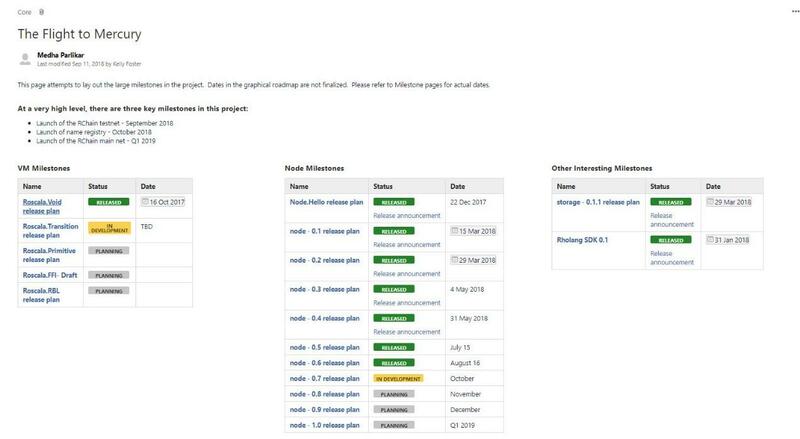 RChain has a development roadmap that it has official released. 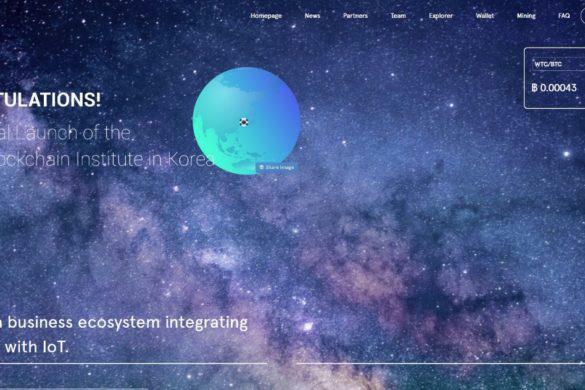 It has three basic goals: the launch of its testnet, which it recently announced; the launch of its name registry; and the launch of its RChain main net, which it aims to release in Q1 of 2019.